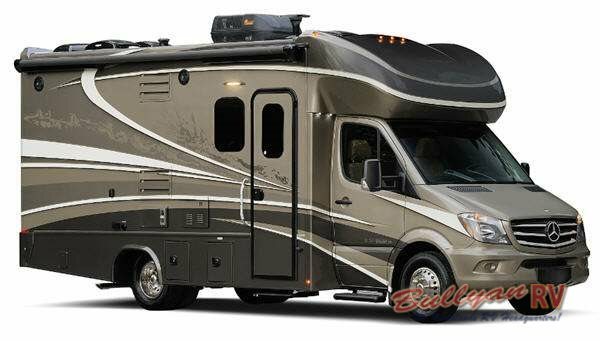 Now Introducing the Dynamax Isata 3 Series Class C Diesel Motorhome! Here at Dean’s RV, we are proud to announce that the Dynamax Isata 3 Series Class C Diesel Coach has just arrived! This model of Class C motorhomes has everything people love about Dynamax with so much more, and with the addition of the Mercedes Sprinter platform, the Isata 3 brings fuel efficiency along with the entire Dynamax package. The isata 3 series Class C Motorhome has everything you love about the Dynamax and more! 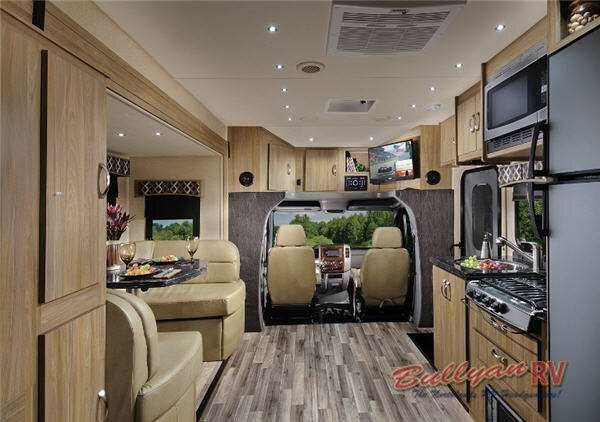 There are two different floorplans that you can choose between, and both offer large living and sleeping spaces to give you everything you want out of an RV. For example, the 24FW model comes with one slideout that spans the entire length of the RV. Its open floorplan offers plenty of walking around room, and with a booth dinette and cab seats that spin completely around, there will no shortage of spots to sit and watch one of the two televisions included. Take a look at the beautiful interior design! The Dynamax Isata 3 24RW model looks similar but will feature two slideouts; one off the side and one off the back. The master bedroom is situated in the rear slideout, and with a partition, it will give you more privacy and solitude in the evenings while you sit up watching your favorite movie on the 32 inch LED TV or while sleeping. The innovative design of this Dynamax Isata 3 Series Class C Diesel Coach motorhome allows for the exterior to be smaller and more manageable while driving without sacrificing any of the amenities that you could possibly want. Ample storage space, a full bathroom, and a beautifully modern kitchen with all the fixings all come in this easy-to-use, fuel-efficient camper. We are so happy that the Isata Series 3 Class C motorhomes have finally made it to our lot, so be sure to contact us or just stop on by! We would love to tell you all of the ways Dynamax has upgraded the Series 3 to be better and more luxurious than any other RV in its class!